Sending a fax is impossible, if you do not have a fax machine. Luckily, you can send fax from email using an email to fax service. WiseFax email to fax service is a perfect solution, because it allows you to fax documents quickly, easily and securely using an email. Also, you don’t need a subscription to send fax from email using WiseFax email to fax service. 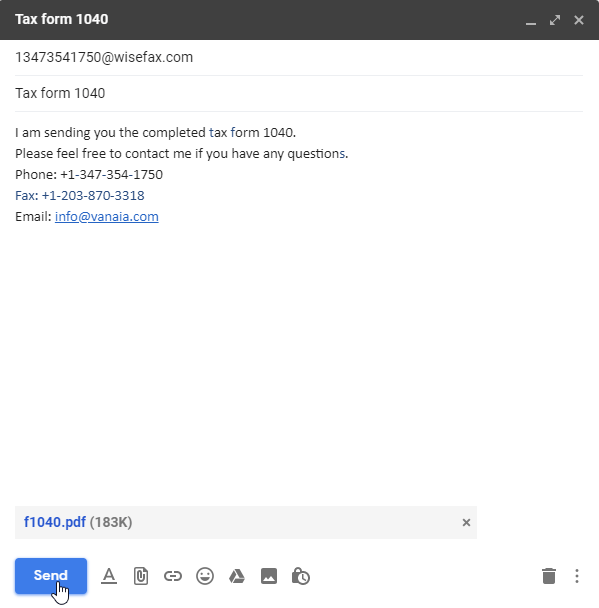 WiseFax is a simple to use efax service that allows you to send a fax directly from your email to any fax number in the world quickly, easily and securely. After composing a new message, provide the recipient’s fax number. You can do this by inserting recipient’s fax number into the “To” field. Just insert it in the form of “faxnumber@wisefax.com”. For example, if you wish to send a fax to +1-347-354-1750, then simply put “13473541750@wisefax.com” into the “To” field. Make sure that you include the country code as well. You can send documents to one or more fax numbers at once. Define multiple recipients by separating recipients’ addresses with semicolons (for example: “13473541750@wisefax.com;38614213741@wisefax.com”). Attach one or more files that you want to fax. WiseFax supports a large set of document formats, so you do not need to convert your documents before faxing. Simply attach PDF, Microsoft Office, Apple iWork, LibreOffice, OpenOffice, Hancom Hangul, ScanWritr documents, or JPEG, GIF, PNG, BMP bitmaps and scans to your email. Including a cover page to your fax is easy, too. Your email’s subject line will automatically become cover page’s subject, and email’s content will become the cover page’s message. If you do not want to attach the cover page, just leave the email’s subject line empty. Sending fax from email is so easy! You will get a confirmation email from WiseFax a few seconds after sending your first email. In order to confirm sending your email to fax, simply follow links within the email. All subsequent emails will be faxed automatically. If you do not have enough fax tokens to send your fax yet, WiseFax will automatically redirect you to a page where you will be able to buy required number of fax tokens. After doing that, we will start sending your fax. 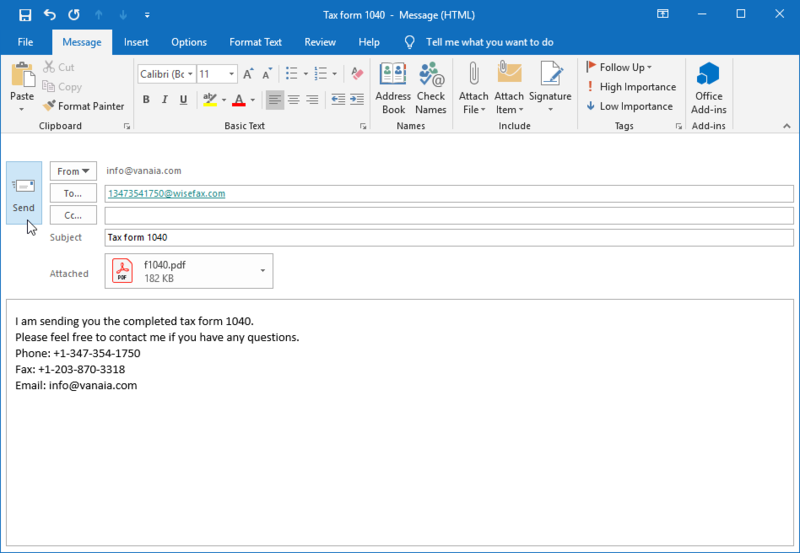 If for some reason WiseFax will be unable to send fax from email (for example if the recipient’s line will be temporarily unreachable or busy), then you will also receive an e-mail notification from WiseFax. You will then be able to fax your document once again later without purchasing additional fax tokens.